Sprinkle cookies get a cinnamon sugar twist in these Soft and Chewy Snickerdoodle Sprinkle Cookies! There’s a bit of fun in every bite. Let’s just make all our rainbow sprinkle-loving cinnamon-sugar-obsessed dreams come true. You know, real life where we buy our sprinkles on Amazon because we are too lazy to go to the supermarket. But then when we get them in the mail it’s like Christmas in February! And what could be better? You know, other than a 70F degree day in February. The.Boy, apparently, does not have rainbow-sprinkle loving dreams because when I tried to send him off to his friends’ Superbowl party with these in tow, he was all embarrassed. As if, all of the sudden, sprinkles were too “girly” for him. But then he also didn’t want to leave them home alone with me (perhaps out of fear I would eat all of them in the midst of a Kardashian-overdose-induced-haze)? It was very confusing. Eventually I convinced him that his friends would not think he had two X chromosomes just for bringing the best sugar cookies on earth with him, rainbow sprinkles notwithstanding. In fact, they might even love him more. One of my new favorite lifehacks is to just leave a bowl of cinnamon sugar on the counter. It’s amazing the things it can be mixed into. …and these cookies even took a bath in it. 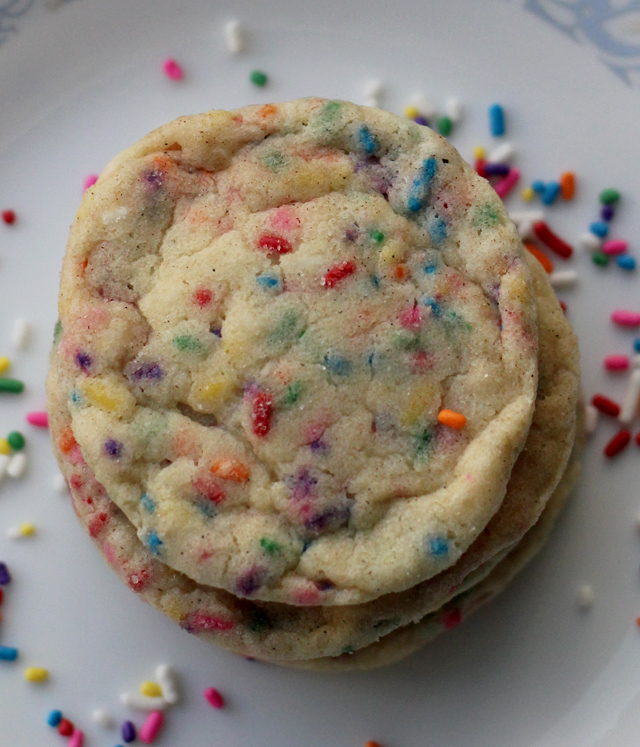 Because if there’s one thing better than a sprinkle cookie. 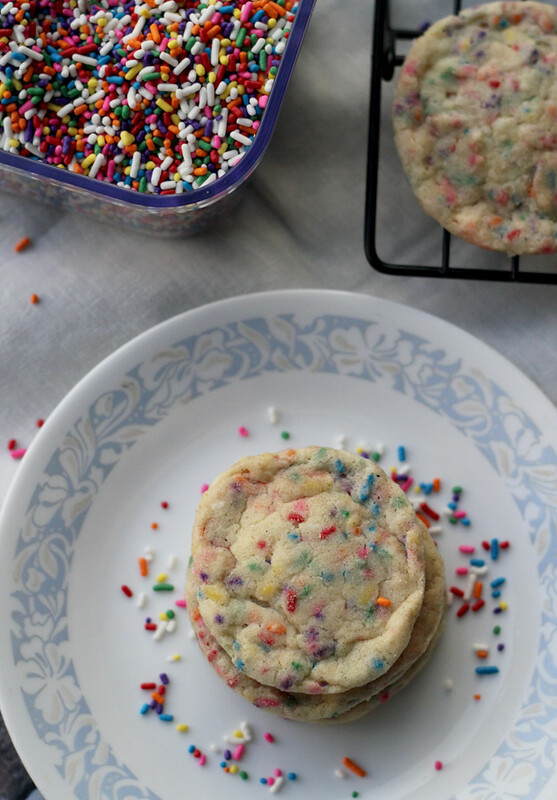 It’s a snickerdoodle-d sprinkle cookie. I snagged a few of these from the.boy before he left…one for me and a handful for my Leftovers Club partner this month! This month I was paired with Marie of Little Kitchie and she seriously sent me THE BEST BLONDIES. Like, ever. If you like receiving/sending baked goods then you should definitely look into signing up for The Leftovers Club next month! It’s pretty super. Sprinkle cookies get a cinnamon sugar twist in these Soft and Chewy Snickerdoodle Sprinkle Cookies! There's a bit of fun in every bite. Preheat oven to 350. Line two baking sheets with parchment paper and set aside. In a medium bowl, whisk together the flour, cream of tartar, baking powder, baking soda and salt. Set aside. In the bowl of a stand mixer fitted with a paddle attachment, cream together the butter and ¾ cup sugar until fluffy, about 3 minutes. Add in the egg and vanilla and mix until combined. Add in the flour in three additions, mixing until completely combined after each. Pour in the sprinkles and mix until combined. In a small bowl, whisk together the remaining ¾ cup sugar and cinnamon. Scoop the cookie dough using a 2-tsp size cookie scoop, making heaping scoops. Roll in the cinnamon sugar mix and place on the baking sheets. Repeat with remaining dough, leaving an inch between cookies. Bake for 8-10 minutes, or until the centers are set. They will not look cooked, but don't sweat it - they will continue to cook as they cool. Allow the cookies to rest on the baking sheet for 5 minutes. Then remove to a wire rack to cool completely. Snickerdoodles and sprinkles make me happy so I am sure that these cookies would make me really happy 🙂 Can’t wait for your near-perfect breakfast pastry! I definitely wouldn’t mind of few or 5 of these right now! I wish I had a handful of these right now. Yesterday could have gone better….and sprinkles would have helped! Ha – that’s funny that the cookies were almost too girly! 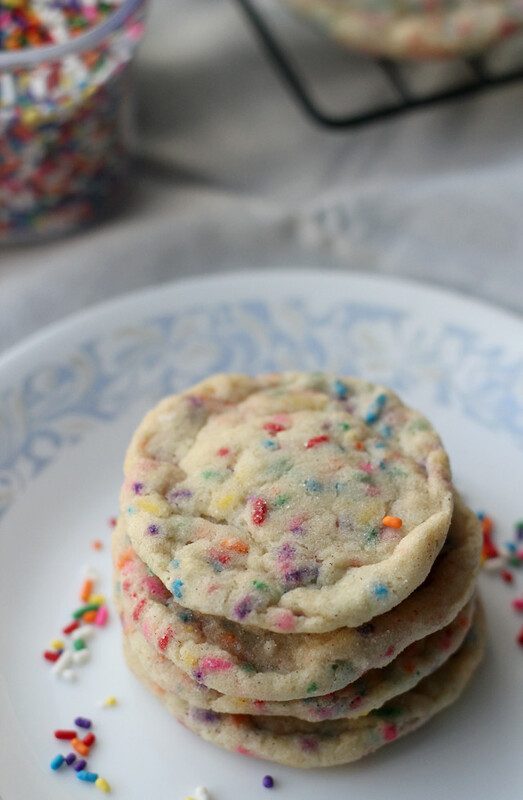 These snickerdoodles are so cute and colorful! So pretty! Definitely the right cookies for a gloomy day like today! 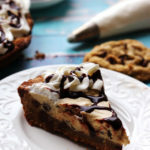 Snowbound here and now with this cookie recipe that looks this good? 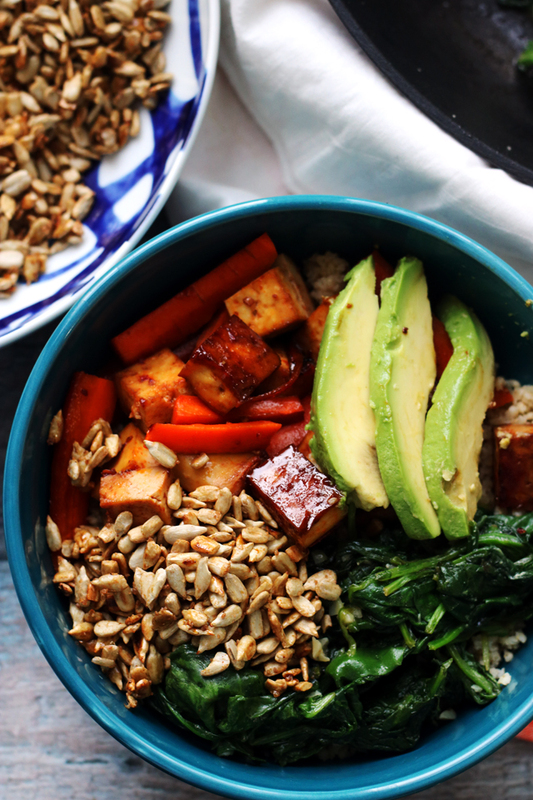 Uh oh — I also have all the ingredients on hand! You do love your sprinkles don’t you? I need to get them back into my life, but they always get de-throned by chocolate. You and The.boy need me as a roommate…I’d gladly take care of your soft chewy snickerdoodle sugar cookie with beautiful sprinkle pile of deeeelish!! I’d take them to every party ever with a gaping smile on my face. and did I mention snickerdoodles are my FAVORITE cookie?? I will be sitting on the couch with a bottle (errr….glass) of wine and a plate of these cookies for VDAY. You know how to make a single girl swoon my dear, yes you do! I LOVE the idea of having a bowl of cinnamon-sugar just hanging out on the counter for whenever you need it! Genius! These cookies are sooo pretty and look so perfect and chewy and yummy! Super cute! 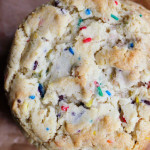 I never imagined adding sprinkles IN the cookie – what a great unexpected twist.. I would be ashamed to admit in public the type of stuff I order in amazon.com. so I say nothing, and quietly move away from the computer…. These look so adorable and easy to make! Love them! These are definitely “happy” cookies Joanne – especially welcome on this snowy day! Sprinkles make me so, so, happy. And so do cookies. And you!! These look fabulous! 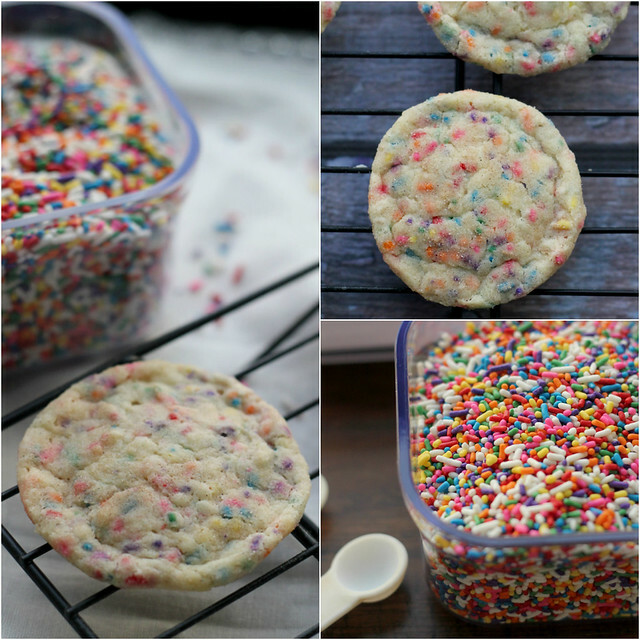 I may make these with the kids – they are all about some sprinkle love. Joanne – these are just so pretty! And with cinnamon sugar, oh boy! Cute! Totally added these to my “Snickerdoodle” themed Pinterest board. Yeah… I’m a little obsessed with Snickerdoodle things! Oh my, I want to cuddle with them. I have made these cookies before and they are wonderful! I love the snickerdoodle twist! EVERYONE loves sprinkles, girl or boy! Even better if they’re mixed into a delicious snickerdoodle cookie! How cute & tasty are these cookies! I bet The.Boy and his friends loved them. I love sprinkles! What a great way to use them!! I too enjoy good sprinkle cookies! These look beautiful! These are beautiful, I can almost taste them! 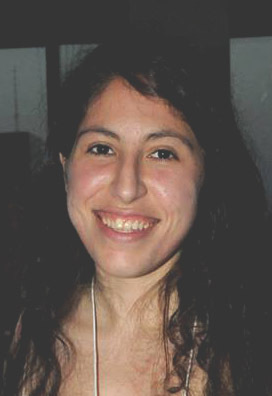 Beautiful Joanne! Wish I had some now! Rainbow sprinkles for the win! 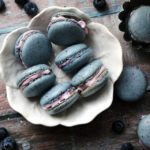 I happen to know a certain sister that would go crazy for these… She also tends to keep a special “sprinkle reserve” of her finds from various travels, to be enjoyed only on special occasions. She’s a bit more obsessed with sprinkles than most, perhaps, and would truly appreciate the color and texture they add to these fun treats. …so, the.boy turned out to be a hero with these? I would think so. You took one of my fave cookies and turned up the volume. Love these! YUM! 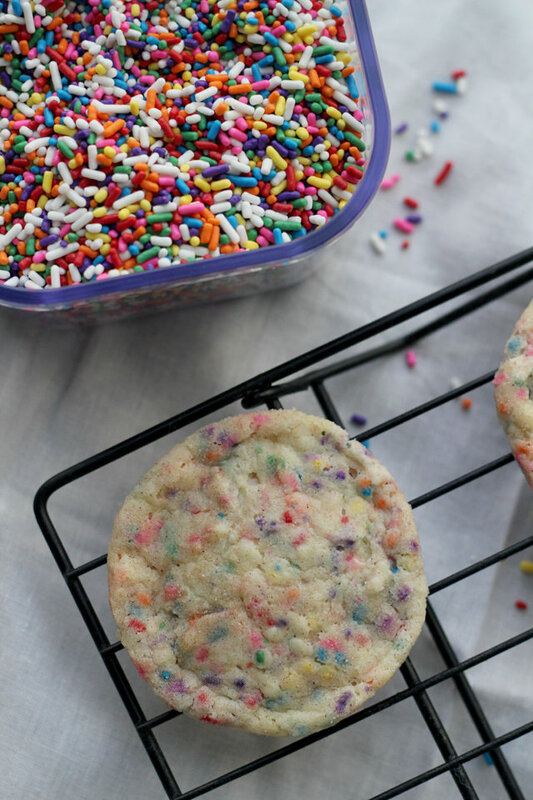 These look so good– and make me think of spring with the fun colors of the sprinkles! SPRANKLES. I love ’em. Especially in cookies. 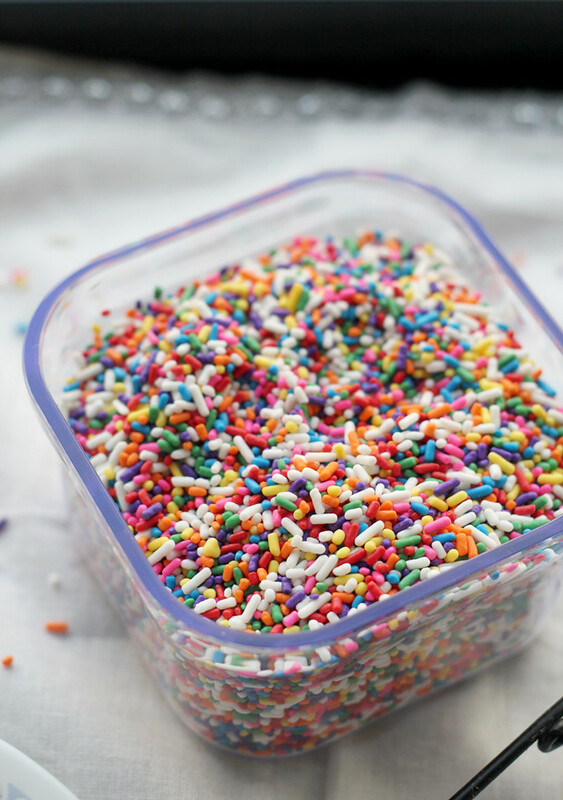 Love all those colorful, happy sprinkles! Yum! 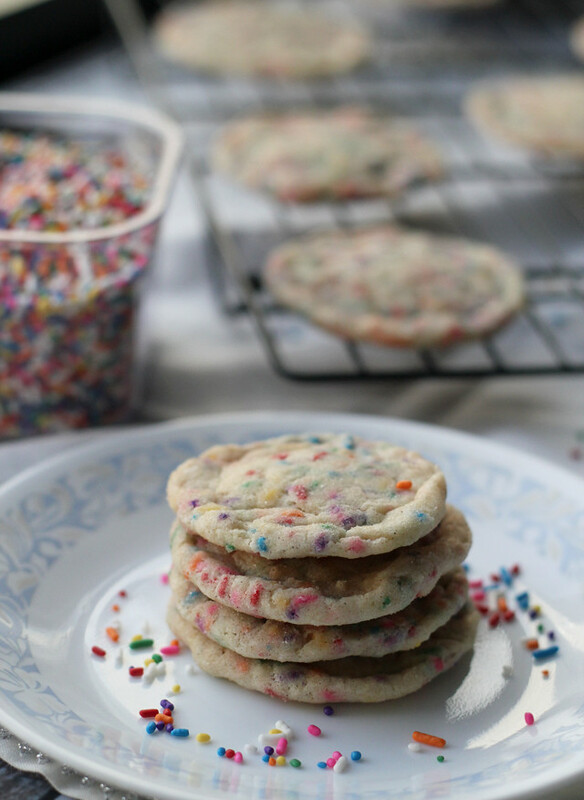 Snickerdoodles and sprinkles? Yes please! I’ll even take a 60 degree day – I’m not picky. I also order pretty much everything online or by phone, except fresh produce. I have even been ordering fish and okay sometimes I order produce too. I really need some stock in UPS. i must admit- when i saw the post title i had my doubts, but you’ve convinced me! sprinkles and snickerdoodles MUST be a match made in heaven. Very pretty – I’d love to recieve some of these in the post! Yummy cookies and such pretty colors. There really is something inherently fun about sprinkles. I had the same thing happen to me and my husband- he didn’t want to take my ‘girly’ dessert along to his ‘men’s gathering.’ I told him to carry the dessert inside his ‘man bag’ (i.e. ‘purse’) and that made all the difference: anything toted in a ‘man bag’ automatically makes it seem masculine! I was convinced that snickerdoodles couldn’t get any closer to perfection, but I never thought of adding sprinkles! You’re an angel, Joanne. 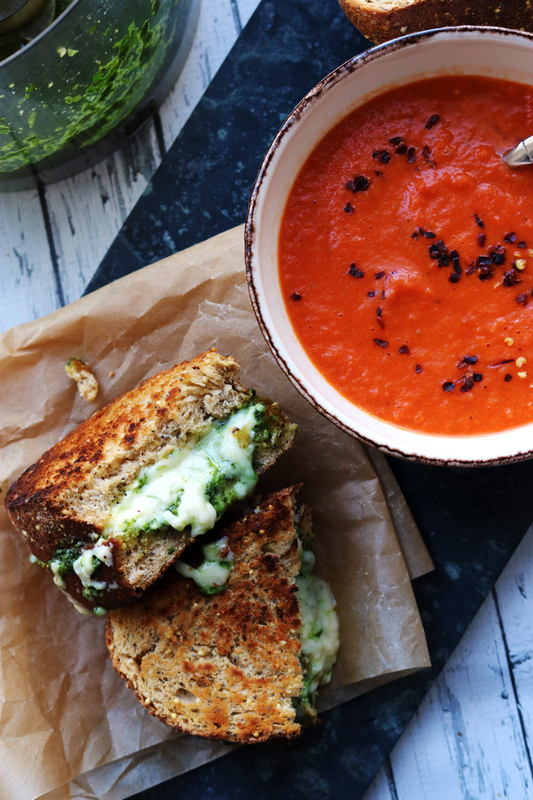 These are happening, like, stat! UM, YES please! Those sprinkles totally seal the deal. I love the thought of your fiance stuck between fear that his friends will think he’s girly for bringing these, and fear that if he leaves them at home you’ll eat them and he’ll miss out 🙂 I’m sure his friends were as impressed as I am by the cookies and hope you got some too! Sprinkles! I love these happy cookies, and now I’m off to see what kind of sprinkles they sell on amazon. I can’t say that 5 times fast when I’m shoveling a dozen of these into my pie hole. You just kicked up my favorite cookie about 10 notches. Also? You wouldn’t believe the items I’ve bought from Amazon out of shear laziness. If I didn’t have kids, I swear I would never leave the house. This storm around we got lucky–thank goodness! Last year at this time was our massive blizzard that left us without power for 4 DAYS! I swear J I still have panic attacks when I hear a snow storm is coming because of last years blizzard. rainbow sprinkles in anything are an A+ in my book! I love where the sprinkles ended up! Prettiest cookies ever! Bet they taste just as good. I love your new ‘lifehack’ of sugar/cinnamon on the counter. Stealing the idea! MMmmm, these look like a good snow day cookie! These look fab — and they’re just so darn cheerful! My sister is a sprinkles fanatic — like, puts them on any and all desserts — and I just know she’d go crazy for these. Might surprise her with a batch soon! Christmas in February?? I’d totally sign up for that! I have to confess, I’m slightly (okay, much more than slightly) obsessed with rainbow sprinkles. I also LOVE snickerdoodles and therefore, this recipe is awesome, haha. I cannot wait to try these out, just another reason to dig myself out of the snow today! You’re really inspiring me to get out today it seems. 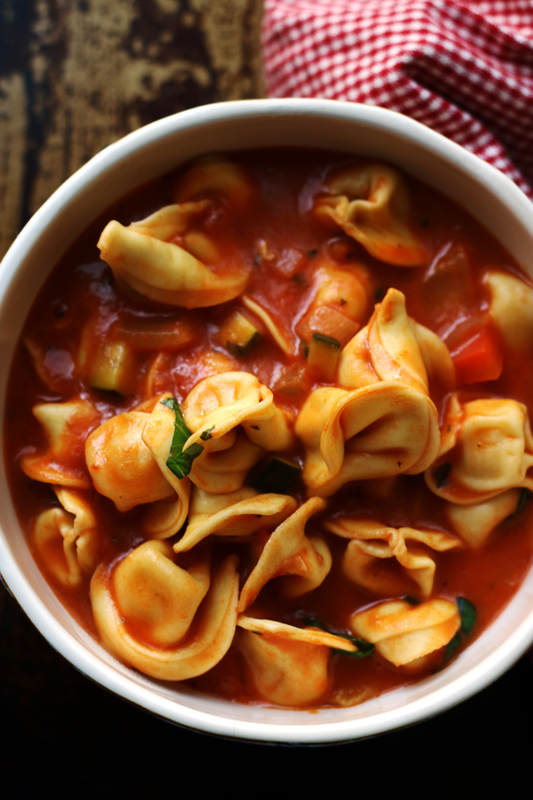 So many yummy recipes! 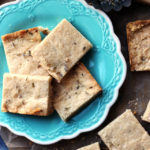 snickerdoodle…sugar cookies?! Sign me up NOW. First of all, we all know The Boy would happily eat the cookies at home so just because they have sprinkles, lot of girly looking sprinkles, is no excuse! Love that he didn’t want to leave them with you haha. Also, food deliveries are definitely just like Christmas – so much that you can barely gather yourself to rip it open to see what’s inside! Guilty. Your cookies look yummy! Sprinkles always make everything a little more fun! I made these on Friday. Actually I made a double batch and they rocked. 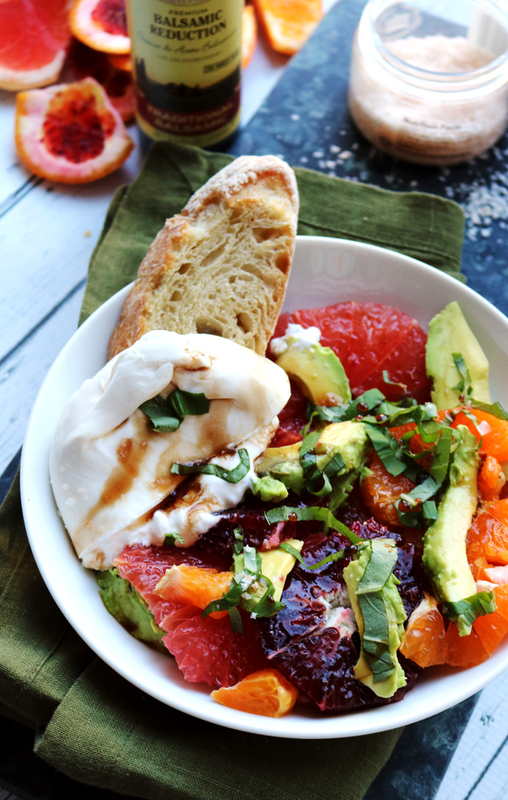 Very pretty and very tasty! We had a church convention and I wanted cookies to give out and everyone liked them. Is it wrong that I feel like you made these just for me? 😉 Cinnamon sugar and rainbow sprinkles are two of my favorite things in the universe! These are irresistible. Oh wow! Snickerdoodles and sprinkles 🙂 I’m in! I cannot bake. ..but these ones I can!!! They are beautiful and delicious!